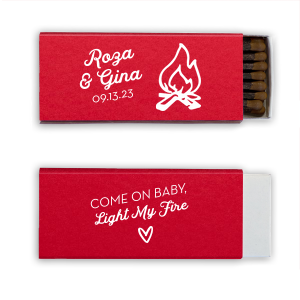 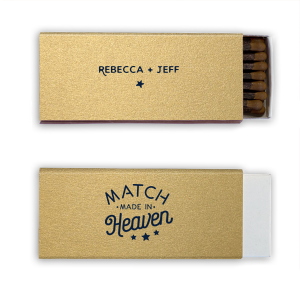 Offer a customized light for the celebratory cigars with personalized bridal shower cigar matchboxes. Your guests will appreciate the sulfur free, high-quality smoke your custom bridal shower cigar matches offer. 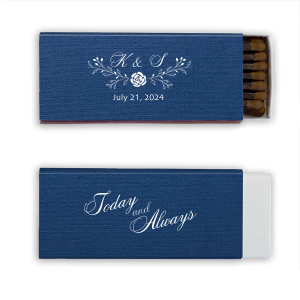 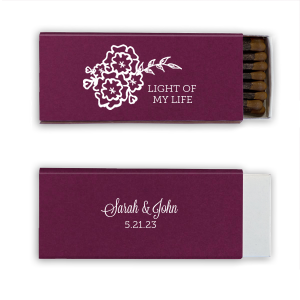 Design your customized bridal shower cigar matchboxes today! 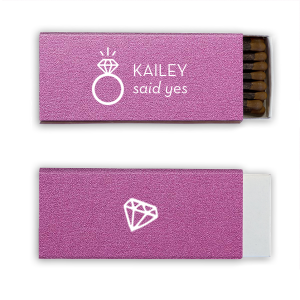 Pass the cigars, she’s going from Miss to Mrs.! 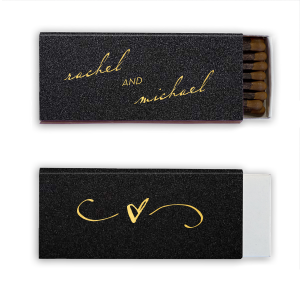 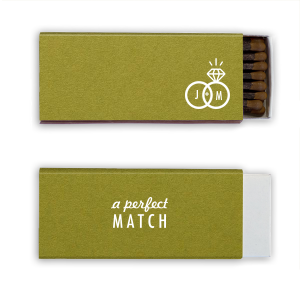 Add an extra layer of personalization with For Your Party’s custom designed bridal shower cigar matchboxes. 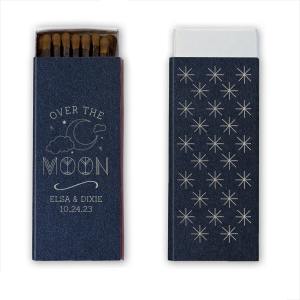 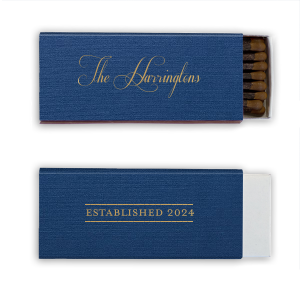 With over 100 matchbox colors, 50 fonts, and 1300 graphics, a truly personalized design for your custom bridal shower cigar matchboxes is easily within reach. Sulfur free, your customized bridal shower cigar matches offer a quality smoke. Enjoy the creative freedom of the FYP customizer for truly custom bridal shower cigar matchbooks.